Gas engines and generators are available at discount prices daily! Our horizonatal gas engines can be applied to working chassis set-ups, new projects or for use as replacement engines in various pieces power equipment such as lawnmowers or generators. 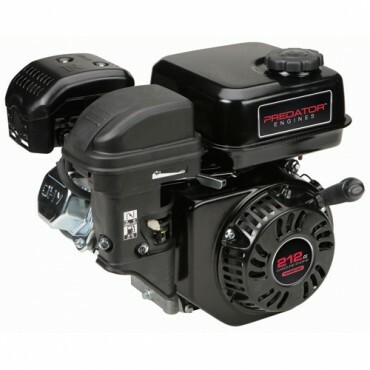 At KVM Tools we offer an impressive range of Predator gas engines that can be used in many applications. Our gas engines are available with various displacements and come in many sizes. Choose from engine sizes 99cc – 420cc, boasting up to 14HP. For tough California emissions laws, we offer options that are both clean burning and powerful.